Asia has an abundance of capital for infrastructure projects. Sponsors can easily secure funding as investor appetite for infrastructure investments is strong. But there could be a much higher level of liquidity in the region if more institutional investors were to fund infrastructure projects. Luca Tonello, joint general manager and head of project and export finance for Asia, Asia investment banking, Sumitomo Mitsui Banking Corporation, says that the bank market remains the major funding avenue for infrastructure projects in Asia. For now it is very much a "club" market where banks tend to participate in primary deals, driven by relationships. Fundamentally, the infrastructure sector should be one where banks finance the early stages of a project, says Tonello. Institutions participate in the latter stage of the project and are incentivized to take long-term risk. For now what is fuelling bank market liquidity is the entry of additional lenders. Japanese regional banks, according to Tonello, are increasingly participating in infrastructure projects. Chinese banks, which are very active in the loan syndication market, also contribute to market liquidity. This comes as institutions including pension funds, insurance companies and asset management companies often will choose to invest in government bonds than in infrastructure projects. CGIF, which supports the growth of the local currency bond market, has been working to promote the concept of project bonds in Asean countries. Unlike other multilateral development banks, CGIF has no mandate to back infrastructure development. But it has been working to improve infrastructure projects' access to bond markets for funding. When CGIF started its operations in the Asean region about five years ago, project bonds only existed in Malaysia. But that changed dramatically in the past two years. Today, project bonds are helping fund infrastructure projects in Indonesia, Thailand and the Philippines. So why is the project finance market in Asia isn't growing fast enough? Kinloch says there are fairly a number of reasons Asia's project finance market isn't growing as it should be. Finance experts say the host governments are partly the reason. Moreover, finance experts point to the inability of governments to support infrastructure projects, hampering project finance. “There is very little discussion on how the government support can be structured in the first place and how it can fall away as the project proves itself such that the government does not end up with the most unimaginable amount of contingent liability,” he adds. For its part, the IFC has developed a number of mechanisms to help harness private capital to finance infrastructure projects. One such major undertaking is the Managed Co-Lending Portfolio Programme (MCPP), which kicked off with a US$3 billion investment from State Administration of Foreign Exchange (SAFE) of China in 2013. It has been successful in helping investors get comfortable with the project and country risk in these markets. The investors are relatively passive partners under the programme with IFC leading on project identification and due diligence. “Each investor has slightly different criteria to meet their own investment strategy and mandate,” notes Brickell. “IFC’s innovative investment model helps match institutional capital with emerging market infrastructure investment. This matchmaking is key to supporting the ongoing transformation of infrastructure in emerging markets. The other scheme that the IFC has undertaken was its innovative partnership with global asset manager Amundi as they successfully launched in March this year the world’s largest targeted green bond fund focused on emerging markets. Amundi manages the fund, which has US$256 million in cornerstone commitment from IFC. The fund aims to increase the capacity of emerging market banks to finance climate-smart investments. “With the fund focussing on green bonds, it has the same objective of mobilizing capital from the private sector,” adds Brickell. “Many investors are reluctant to invest on their own as many emerging markets lack the requisite risk-return profile." Last year, Jasa Marga arranged its first securitization transaction to raise 2 trillion rupiah (US$139.25 million) by securitizing the toll road revenue of its Jakarta-Bogor-Ciawi concession. In what was a trailblazing transaction to further diversify its funding sources, Jasa Marga launched the first "Komodo" bonds in November 2017 – an offshore debt instrument denominated in rupiah, but settled in US dollar, both principal and interest. At first, Arsal reveals that Jasa Marga was not that confident how to introduce the Komodo bonds into the market, being the first of its kind in the world. It conducted two non-deal roadshows before it launched the deal – the first one was to garner investor feedback about the company and about Indonesia. At present, Jasa Marga has 13 toll road concessions in its balance sheet. Under the new regulation, it has to establish a new company for every new concession that it will operate. So it invites partners, either state-owned or private sector companies, to join as minority partner in the project. The company has other concession project targets in the pipeline, some of which Jasa Marga is considered as the so-called initiator. “We need partners to finance these projects because our balance sheet now is too heavy to undertake the financing,” says Arsal. One of the prevailing trends in project finance in Asia that is attracting lenders and investors is the focus towards renewable energy. Taiwan is generating a lot of attention because of the prospects of offshore wind energy. As Tonello points out, Taiwan adopts a very transparent process, laying out which project will take place and when. Billy Betts, head of project finance and advisory department at Cathay United Bank, says they are focused on supporting Taiwan’s growing renewable energy industry by advising and providing financing to a variety of solar and wind projects, including the large offshore wind projects under development. Taiwan plans to add 5.5GW of total offshore wind installed capacity by 2025 and Betts says Cathay United has been actively involved in a number of these projects. The bank provided financing for the first two offshore wind turbines in 2016 that are now up and running. It recently closed the project financing for the next 20 turbines. 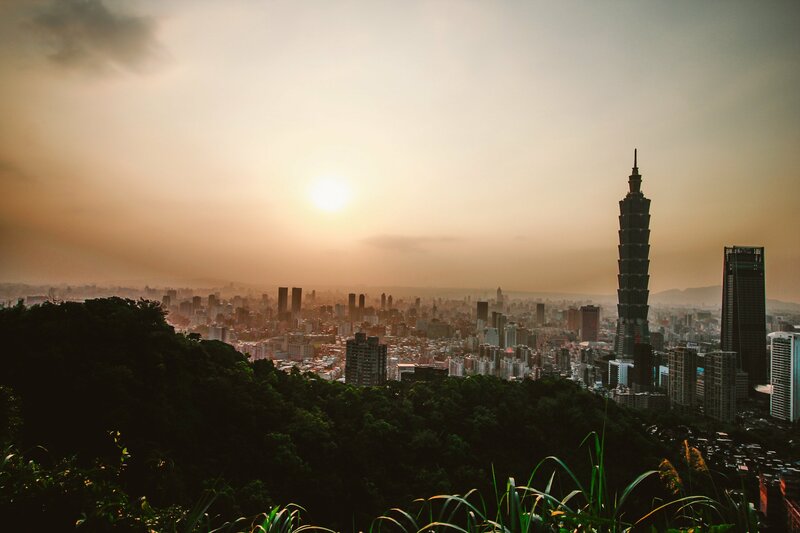 Betts notes the Taiwanese banks have more than ample liquidity to fund infrastructure projects in Taiwan and elsewhere in the region. For offshore wind projects, the concern of Taiwan lenders has been the acceptance of non-recourse project financing structures with long tenors for a new sector. With 20-year power purchase agreements, sponsors are seeking financing for up to 18 years for some of the projects, which traditionally has been difficult for local lenders. Among the risks often highlighted for offshore wind projects in Taiwan are earthquake and typhoon risks, which are not present in European projects. These risks are something that both the international and local lenders need to fully understand with the support of the lenders’ technical, environmental and insurance advisers. Loans covered by export credit agencies (ECAs) will also be helpful to ease financing for offshore wind projects in Taiwan. EKF of Denmark's participation in the project goes a long way towards helping address the financing concerns associated with the projects. “Of course, the projects are not 100% ECA-covered, but even a portion is helpful both from the technical and financing perspective,” he adds. 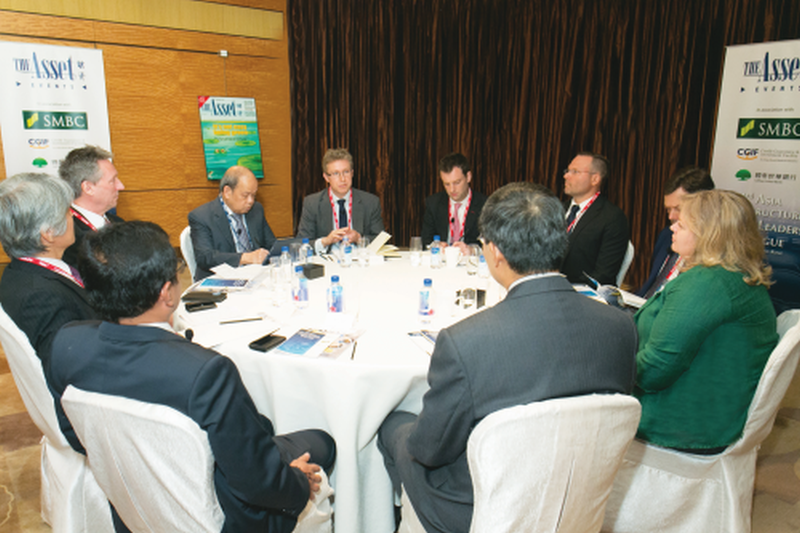 Indeed, renewable energy is a theme resonating in the project finance market in Asia. CLP plans to further expand its renewable energy portfolio. As at end-2017, 13% of its generation capacity comes from renewables and 23% from non-carbon sources, which CLP targets to raise to 30% and 40%, respectively, by 2030. CLP, though, still has a couple of coal projects in Vietnam. “We believe that they cannot, at least in the interim, make a leap into renewables, so we want to assist them by building projects using clean coal technology or the supercritical coal,” adds Ho. What is also helping attract lenders and investors into the project finance transactions in Asia is the participation of insurance companies through the provision of structured credit and political risk insurance. “Historically, individual lenders have used political risk insurance to mitigate their own participation in long-term project finance loan facilities in situations where they are not comfortable with the political risk environment in a country or where the project included an offtake agreement with a state-owned entity, such as a power purchase agreement,” says Robert Cooper, regional director for credit, political and security risks in Asia at JLT Specialty. Although there have been situations where sufficient capacity was available to cover all lenders to the project, there usually has been a finite amount of capacity available. Insurers have generally only been able to support one or two lenders to a particular project. With the increased levels of capital flowing into the insurance market amid a low interest rate environment, and the resulting low rates being experienced in the propety and casualty class of business, insurers are looking to expand into more profitable classes of business where a smaller number of market participants operate. Property and casualty accounts for the largest part of the insurance market currently. “One of those areas is structured credit and political risk insurance and we have, therefore, seen a significant increase in the number of insurers participating in this space over the past five years, as well as a greater level of liquidity for policy tenors of up to 15 years,” says Cooper. As a result of this larger pool of insurers and liquidity, it is becoming more common for project sponsors, financial advisers and mandated lead arrangers and bookrunners to use the private market to arrange political risk insurance for an entire group of lenders participating in an uncovered or commercial tranche, sometimes alongside an ECA-backed facility. “The availability of political risk insurance and the presence of an ECA usually provides lenders with additional comfort to lend to projects,” adds Cooper. “One point that should be highlighted in relation to political risk insurance is that the cover is not designed to provide some kind of a political risk wrap or make a bad project look good. It is there to provide comfort to lenders against defined political risk perils and when there is uncertainty over the long-term government offtake contracts involved." Meanwhile, developing an infrastructure-related project in Indonesia faces some challenges as revealed by AIM Infrastructure, a Hong Kong-based company that offers project development, advisory and asset management services for infrastructure owners, promoters, investors and lenders across the Asia-Pacific region. The company has been developing a cargo transportation project in Indonesia during the past two years. This is the first pure cargo roll-on, roll-off project in the country in line with the stated policy of the national government that promotes the use of the sea for the movement of cargo on trucks, rather than the current road routes. This is especially true for the huge cargo movements within Java island, and between Java and Sumatra islands. As a new business in Indonesia, the project faces a number of challenges. Government’s foreign ownership restriction is one of them. A ship calling between two domestic ports has to be at least 51% Indonesian-owned. The ships must fly the Indonesian flag and the crew must be 100% Indonesians. Another challenge is dealing with state-owned enterprises. The ships need a port of call and AIM Infrastructure’s first route is between Jakarta and Surabaya where the ports are controlled by state-owned Pelindos. On the other hand, the government subsidizes diesel fuel for trucks, which makes it more challenging for AIM Infrastructure to charge the right tariff, especially in an environment of rising oil prices. “With three different challenges to overcome, it is a work in progress," adds Pankhurst.